In many shops the category header needs to have more information than is convenient for good functionality. While your description is necessary, it only needs to be read once, or perhaps referred to from time to time. The Mageside Fade Description module solves this problem. With this module, you can hide almost the entire category description while allowing the user to expand and read it if necessary. 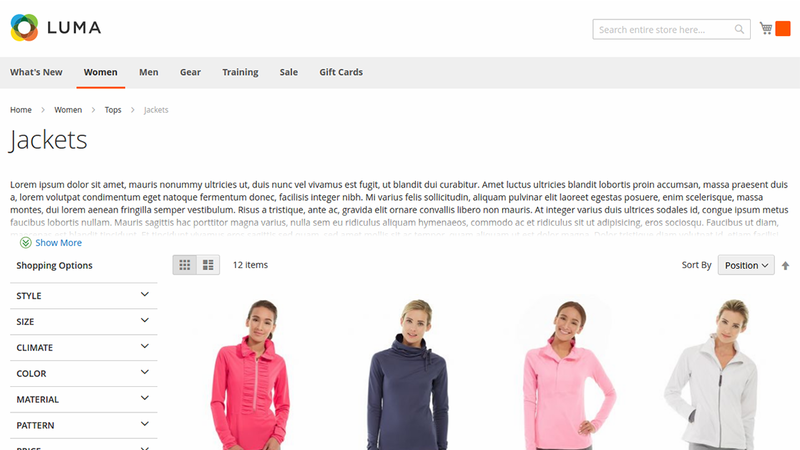 A friendly user experience is the goal of every web-store. With this module, you can retain a long or complex category description without getting in the way of sales. No special knowledge is required. This extension is very easy to work with. 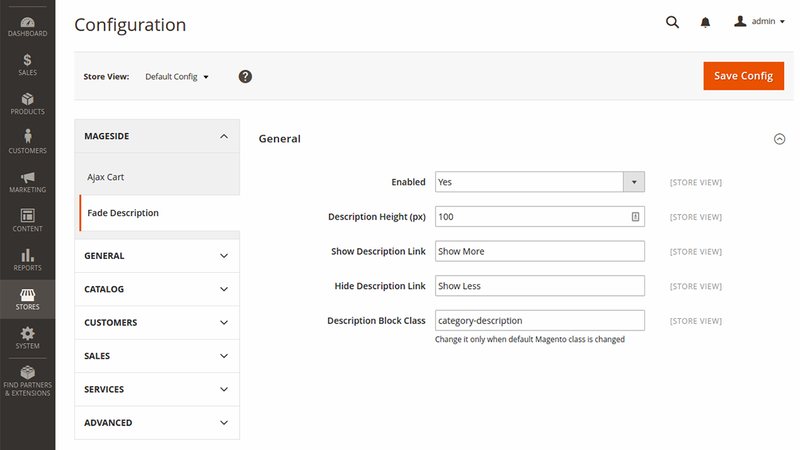 Install and configure a few settings in the admin panel and the Mageside Fade Description extension will appear on your category pages. Sometimes a long description is necessary for your category. But not every customer needs to read the entire description. With the Mageside Fade Description module installed, a customer can easily hide all but the teaser! In the configuration panel of the Fade Description module, an admin can set the height of the faded description, and if needed, change the text for the "show" and "hide" buttons. 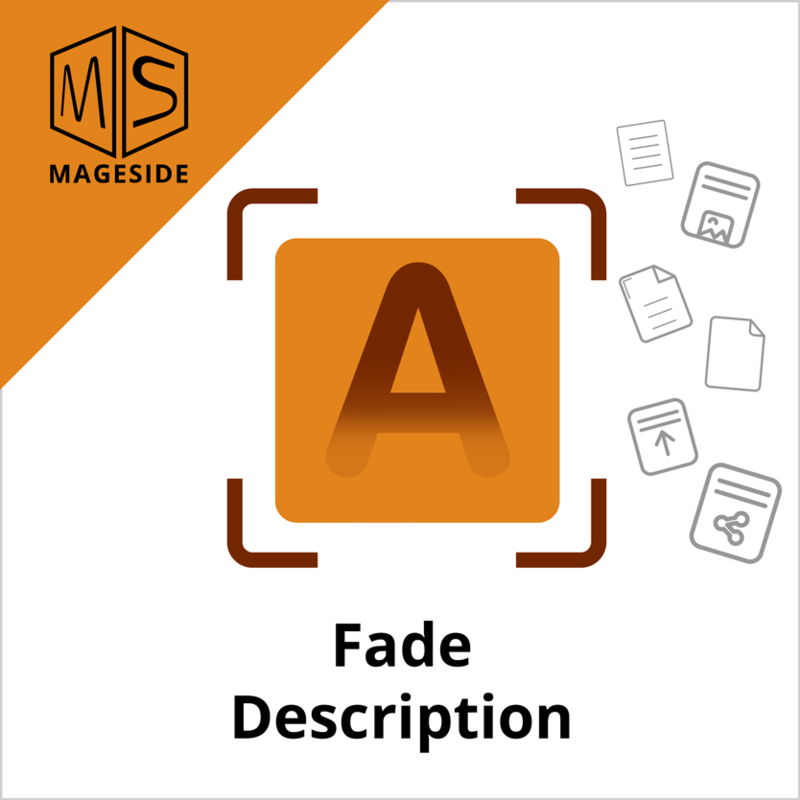 If you are interested in saving space on your category pages and you are interested in your customers&apos; convenience, then the Mageside Fade Description is a must have for your website. It gives me everything I need from it.